We are pleased to announce the new Port Adelaide Development site has gone live. F/F have worked for Nicknack in Adelaide on the design and project management for the LMC brand online. The LMC are a State Government Corporation responsible for managing South Australia’s portfolio of land assets. Their primary aim is to provide social, economic and environmental benefits to all South Australians, by creating, facilitating and developing a range of land-based opportunities. 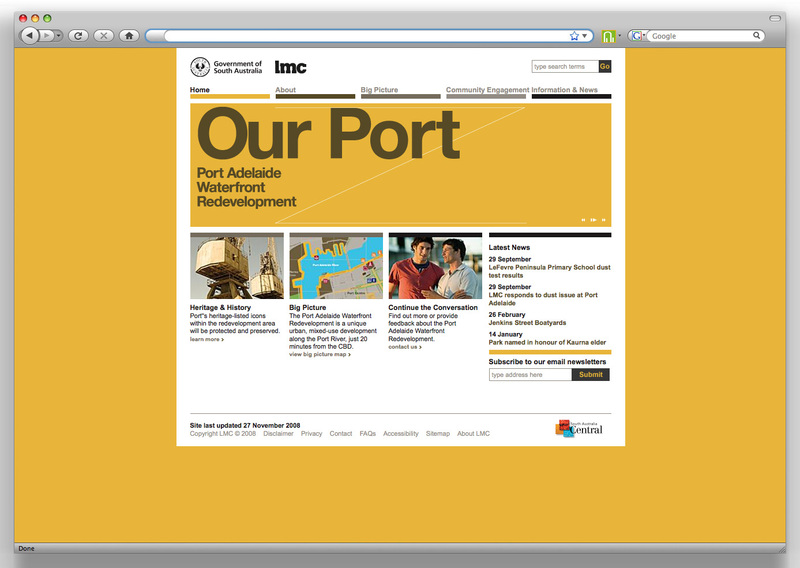 The Port project site follows up the launch of the main LMC Corporate site earlier in the year. Find out more about our friends at Nicknack.